Have you ever wondered what really happened to that mall in The Blues Brothers or where Tarkovsky filmed those jarring and surrealistic scenes in Stalker? 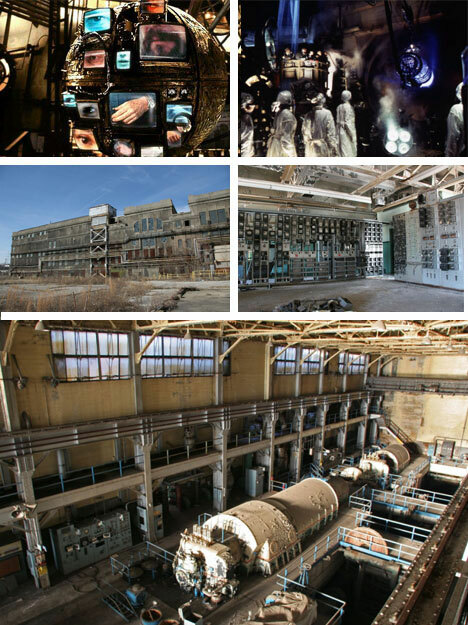 While many urban abandonments are left alone or the occasional subject of urban exploration, some remarkable buildings and complexes have become famous (or infamous) after being used as film sets for cult classics or contemporary major motion pictures. Here are five films that made use of deserted buildings ranging from suburban malls and insane asylums to an unfinished nuclear reactor. To learn more or see larger original images click the movie-titled links below each film clip. The Blues Brothers: Did you ever wonder if they really destroyed a mall to make one of the most famous scenes in this film? 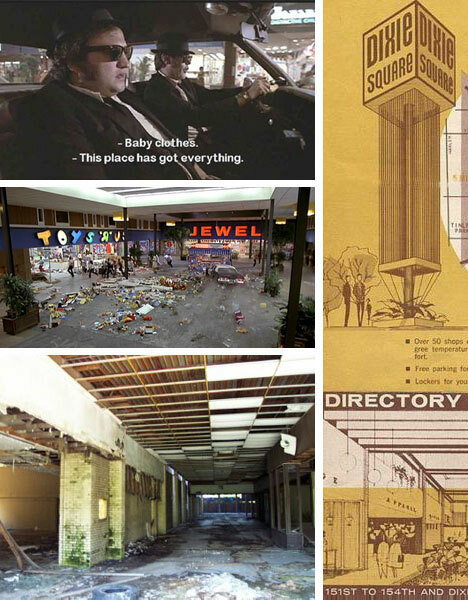 As it turns out, the infamous mall car chase scene did in fact wreak havoc on what remained the (yes, recently deserted) Dixie Square Mall. Fans of the film may enjoy the above video clip which shows the chase scene moment by moment from the movie reenacted in a real vintage police car, in the same mall and with the same camera shots (now fully deserted and falling apart). For more images of this abandoned mall visit DeadMalls. 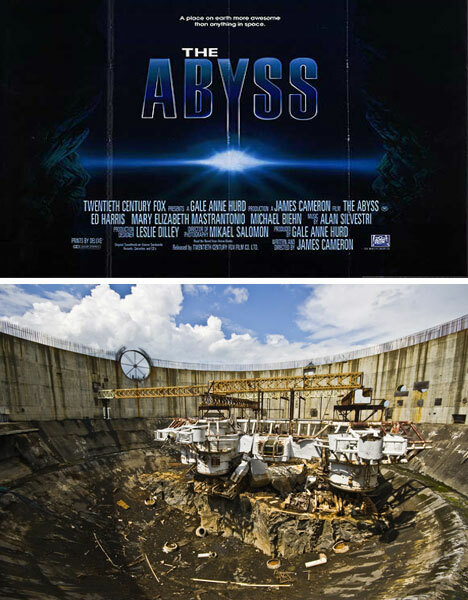 The Abyss: The underwater scenes in this gripping over-two-hour science-fiction thriller were filmed at the Cherokee Nuclear Power Plant in South Carolina. Millions of gallons of water were brought in to fill existing unfinished structures on the site and The Abyss thus broke the record for the largest underwater movie set in the world. The power plant was never completed but the complex contained a turbine pit and incomplete containment vessel were used as primary and secondary sets and on-site warehouses for interior shots. For more images of this amazing movie set and a larger version of the one above check out HistoricDecay. Session 9: This 2001 horror movie was shot almost entirely in the abandoned rooms and halls of the deserted Danvers State Hospital. In an unusual twist, the film’s overt premise is the remodeling of this real-life asylum rather than pretending the building is some other structure for the purposes of the movie. While many of the details are, of course, changed for cinema the building did provide a remarkably appropriate setting for the dramatic action of the film. 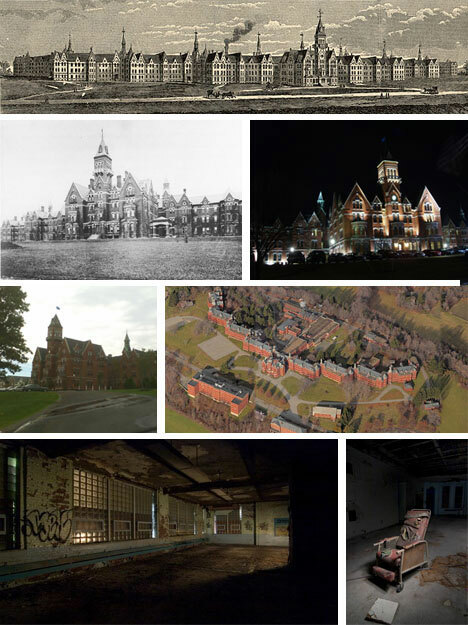 The Danvers State Hospital is also rumored to be the inspiration for H.P. Lovecraft’s own Arkham hospital which, in turn, was the inspiration for the Akrham Asylum. Despite increased security many deserted-building urban explorers found their way into this abandoned building complex after the film popularized the site. During the demolition of many of the older buildings and construction of new buildings on the site in 2006 a mysterious fire laid waste to much of the complex and disabled an on-site web camera filming the grounds. For more images and information you can visit Opacity (the source of the bottom two images displayed above). Stalker: This infamous Tarkovsky film is notorious not only for its impact on cinema but also for the strange and sad stories surrounding its filming. The movie was shot primarily in and around Tallinn, Estonia near chemical factories, power plants and other dangerous locations. Dreadful allergic reactions by the crew and Tarkovsky’s own cancer were blamed on the poisonous liquids pouring downstream from these nearby structures. When the film crew returned to Moscow much of the film was found to be improperly developed and the Soviet government, which frowned on the theistic undertones of Tarkovsky’s work, was suspect of having a hand in mishandling the film. Many Russian urban explorers and abandoned building hobbyists actually call themselves “stalkers” or variants of the word as a kind of tribute to the film and its setting, many of which have since been demolished. 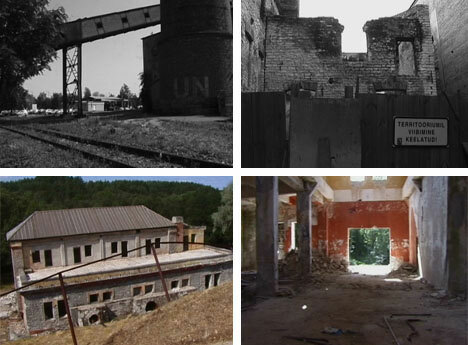 Know of other abandoned buildings used in films? Contact us with information for a follow-up article and we’ll thank you with a link! 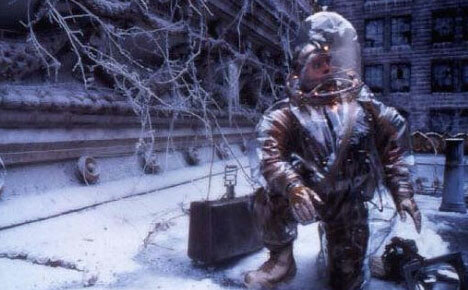 Also, thanks to Cineleet for helping compile this first collection of amazing abandonments from films.